Both Chad ( http://virtualgeek.typepad.com/virtual_geek/2012/02/vfcache-hello-world-and-covers-come-off-project-thunder.html ) and chuck ( http://chucksblog.emc.com/chucks_blog/2012/02/vfcache-means-very-fast-cache-indeed.html ) covered in length what is the purpose of this FLASH Card and it’s associated software component but in really if that’s the first time your hear about it, then EMC’s architectural approach is to leverage the right technology to get the right data to the right place at the right time and cost. To accomplish this, EMC has developed its FAST array-based software, which automates the movement and placement of data across storage resources as needs change over time, optimizing applications and lowering costs. 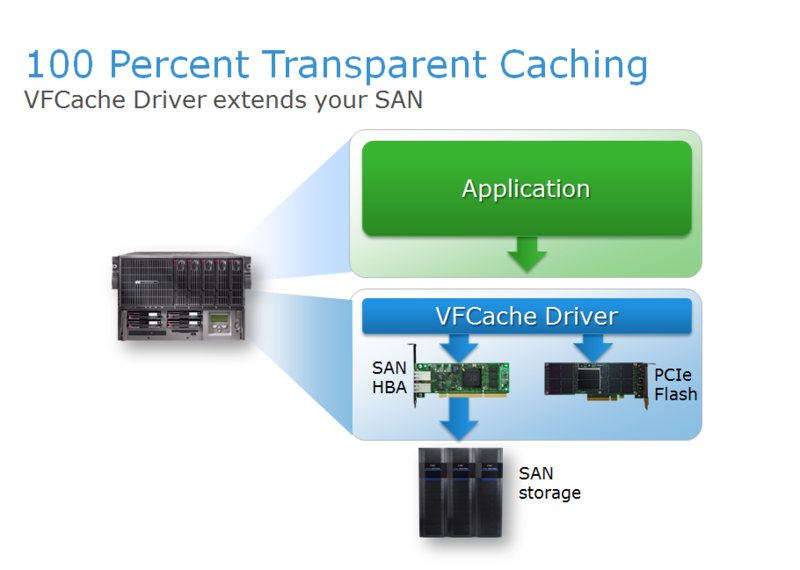 VFCache is EMC’s newest intelligent software technology that extends FAST into the server. The caching optimization within VFCache automatically adapts to changing workloads by determining which data is most frequently referenced and placing it in the server Flash cache. VFCache adds another tier of intelligence and performance to the I/O stack, providing even greater efficiency. When coupled with FAST, VFCache creates the most efficient and intelligent I/O path from the application to the data store. With both technologies, EMC provides an end-to-end tiering solution to optimize application capacity and performance from the server to the storage. As a result of the VFCache intelligence, a copy of the “hottest” data automatically resides on the PCIe card in the server for maximum speed. As the data slowly ages and cools, FAST automatically moves the data to the appropriate tier of the storage array over time. This graphic shows the VFCache architecture. As shown, the PCIe card would be installed into an available PCIe gen 2 slot inside of the server. In addition, the VFCache driver would be installed as an I/O filter driver into the operating environment. Version 1 of VFCache works with any rack server in Microsoft Windows, Red Hat Linux, and VMware environments. Here is an example of the effect that VFCache can have on your application. This shows a typical use case, a 1.2 TB Oracle Database application, before and after VFCache was implemented. In this example, VFCache was able to increase throughput by 2.3 times, simultaneously reducing response time by 50 percent. The results you will achieve will vary depending upon the read/write ratio and read hit rate of your specific application. This particular workload had a typical Oracle read/write ratio of about 70/30 and a read hit rate of about 80 percent. So how does VFCache fit into the larger EMC portfolio? 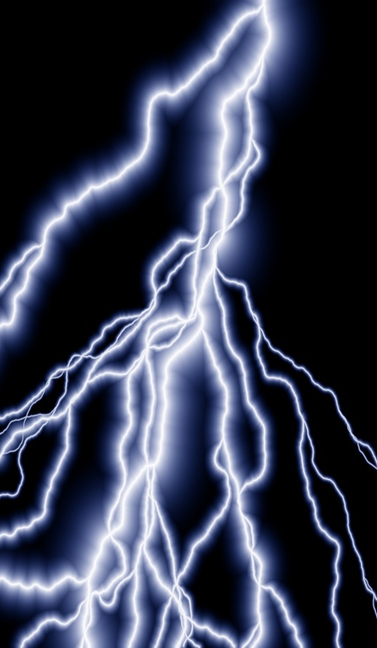 As previously mentioned, think of it as extending EMC FAST technology into the server. 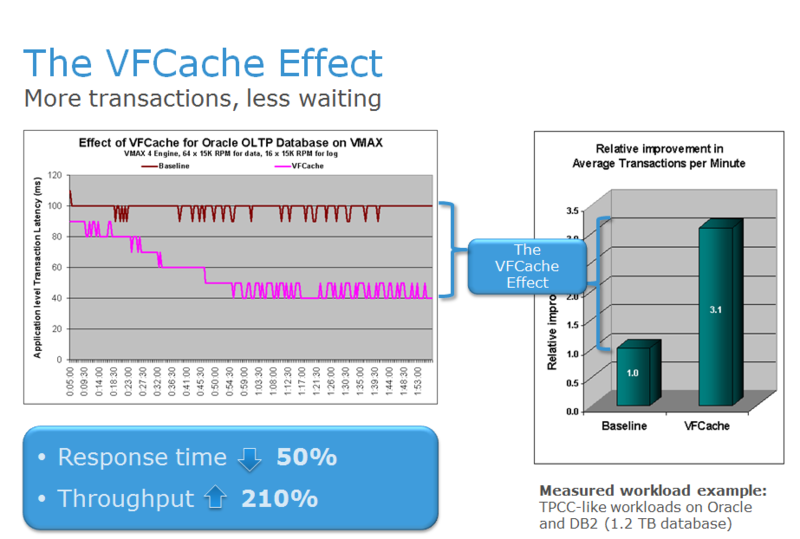 Now you can leverage VFCache for the data requiring the best performance, unsurpassed by any other technology. The hottest of the hot data resides on Flash sitting in the server closer to the application, delivering the most IOPS and the shortest response time. Hot data resides on Flash drives in the array to enable you to reduce storage costs per I/O. As the data ages, it sits on Fibre Channel or SAS drives. 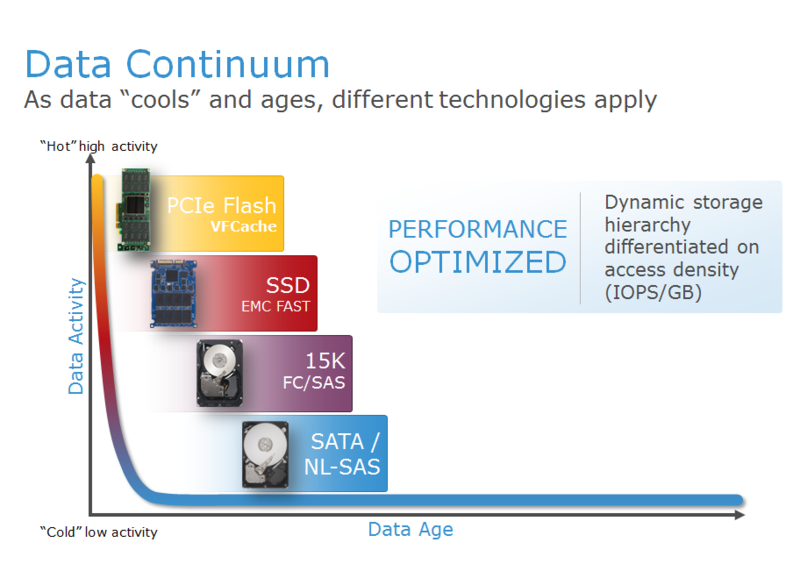 Lastly, the coldest data lives on high-capacity SATA or nearline SAS drives to drive costs down. This is a story that no one else in the industry can tell. It’s about putting the right data on the right storage at the right time—all through automation. It helps your applications reach the performance they need, at the cost you desire, and the protection level your business demands. attached below is the “how-to” Installation video, hope you find it useful!